The sea theme stayed with us as we crossed over the magnificent Severn Bridge into Wales. From having been stuck on the M4 motorway all the way from London, suddenly you are aware of the coastline because, as you drive further into South Wales, you can see it or it is just over the horizon, hidden by a high hill with a steep cliff on the other side that occasionally gives way to a beautiful little bay that you can drive down into. Follow that coast road and you will sometimes find a beach – and, in Wales, even one with sand rather than the stones or pebbles that are more prevalent on the English coast-side (apart from a few places in Cornwall) – as well as a town with a place to get a decent coffee, and a cute port complete with nice colourful sailing boats and great architecture. 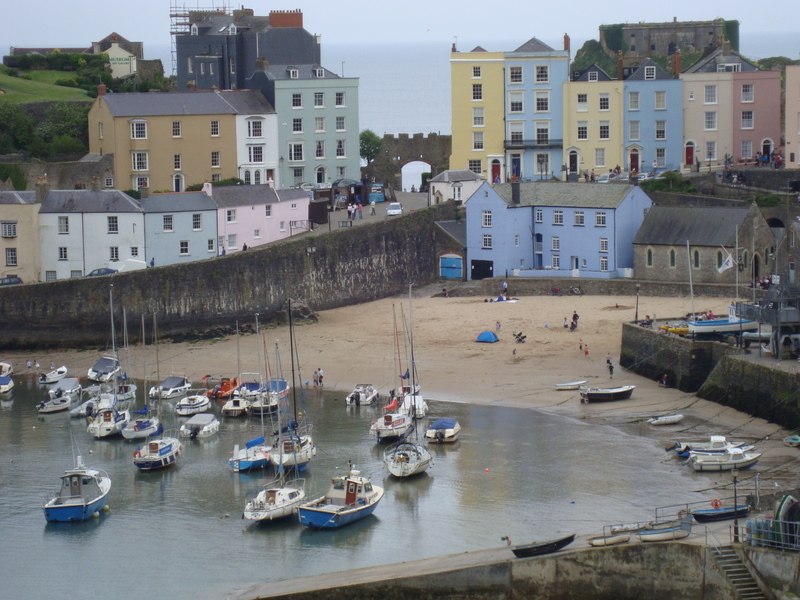 In Tenby we were lucky enough to find all three! 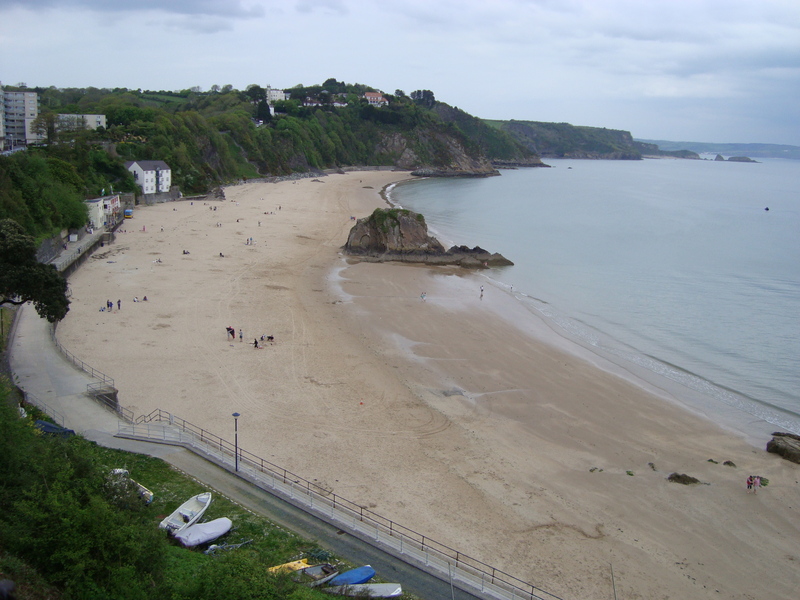 Getting to the sea-side in Britain is not a big deal by comparison with other nations – one day’s ride by car in most directions and you will end up at the sea. The only exception being if you head directly up the centre of the island from London and strictly do not veer left or right at any stage. Still, it surprised me when I first came to London back in 1991 to meet people who had never seen the sea (except perhaps on TV), nor indeed travelled more than ten miles radius of where they had lived their life to date. With one particular family I found myself showered with a box of designer English brand tea and shortbread biscuits when I hired a car and took one teenage lad and one twenty something lass down to see the sea from Brighton pier. Perhaps ironically, they were friends of a girl from the East End who I had met in Australia – and the goods were ones from the export company that the Dad worked for. For me, seeing the sea at least once a year is almost a necessity. Admittedly it is the appeal of nice, sandy beaches as well as picturesque ports with nice boats moored in them that makes the sea- or port-side appeal, as well as sitting out on the sea-front watching the waves and the boats tossing each other about. That classic tune, Sitting on The Dock of The Bay, sums it all up for me. 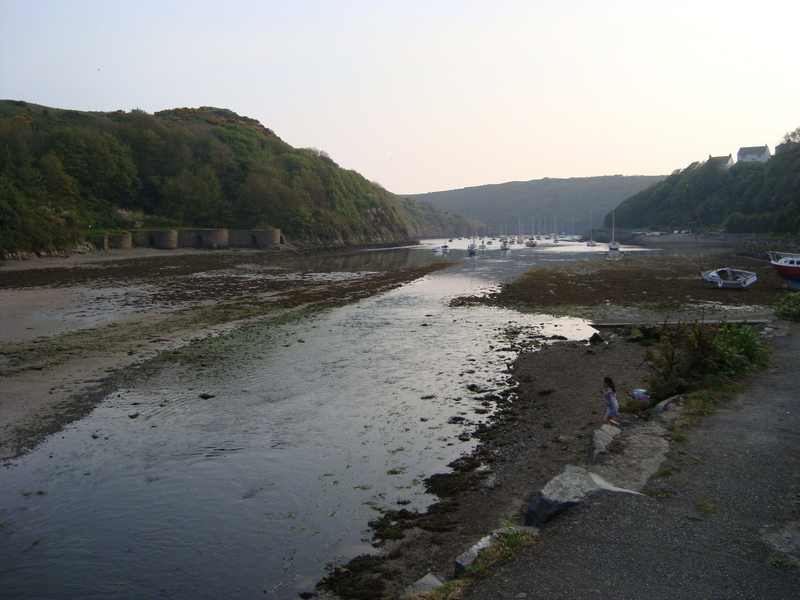 The amazing thing with Wales is that some ports are so tucked away from the main bay, such as at Solfach Solva, that you can see how the place would have been great for smugglers – but also for hiding the smaller boats of the English fleet from the large galleons of the Spanish back in the time of the Armada. 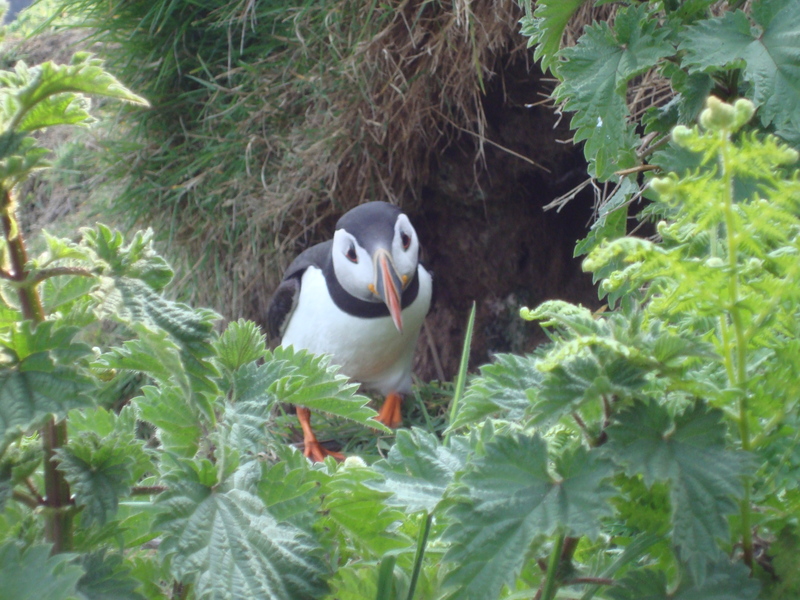 Going out on the sea itself is another matter however – and, on this first trip to Wales, it was to see at least one of the little fellers shown in the following photo that we thought we would make the 20 minute crossing from Dale across to an island bird sanctuary called Skomer Island. 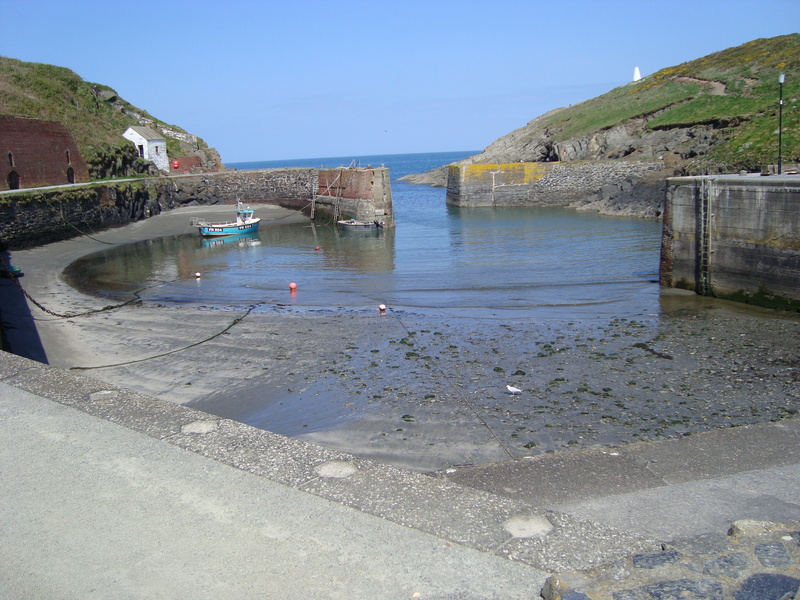 Although it was not exactly Sea Fever that got us out to Skomer Island that day, I do love the vibe of that poem by John Masefield (as shown below) for capturing the will that simply seeing the sea can instil to travel further, and beyond the immediate land mass one is on. Certainly the pilgrimage trail we discovered seemed to lead right down and along the water’s edge – but then where it went from there was unclear. I later learned that the teenager subsequently went and got his driver’s license – and was the first one in his family to learn how to drive. Was it the drive down in the car to Brighton or simply just getting to see the sea that changed his life? Certainly it was something from that one experience that was a defining moment for him and affected him and his whole family in how they were so happy about it afterwards. 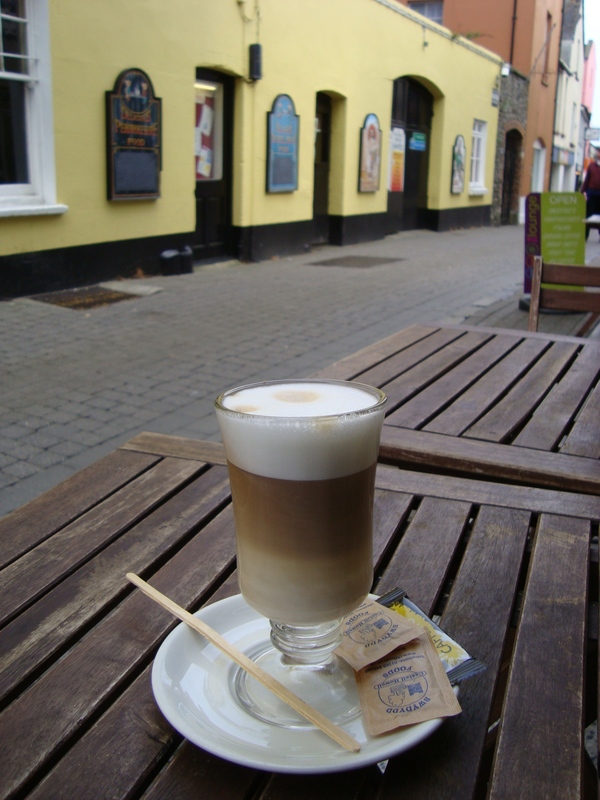 Aside | This entry was posted in Pilgrimages, Solfach Solva, Tenby, Travel, Wales and tagged adventure, beach cafe, comfort zone, holiday, ports, sea-side. Bookmark the permalink.